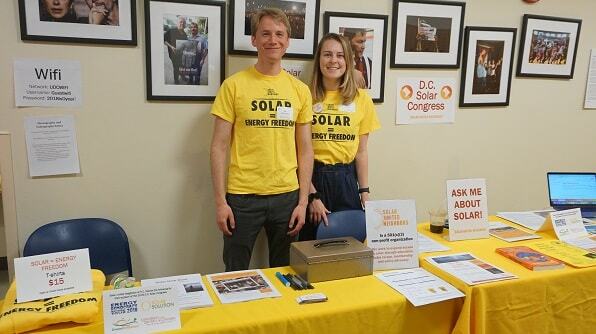 Nearly 100 solar supporters joined us for the 5th Annual D.C. Solar Congress on Saturday, April 14, 2018. Thank you to everyone who attended the 2018 D.C. Solar Congress! 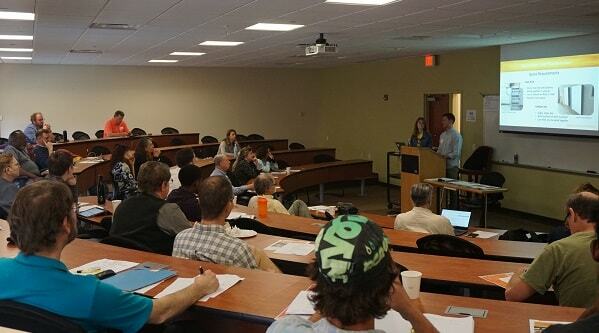 Nearly 100 solar supporters from around the District joined us on Saturday, April 14 for the 5th Annual D.C. Solar Congress. The free event brought together longtime solar advocates, solar homeowners, and newcomers just finding out about solar in the District for a full day of learning, sharing, and discussion about the present and future of solar power in D.C. You can read more about the event in our wrap-up blog post. The 2018 D.C. 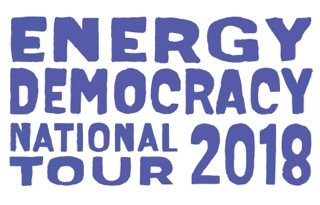 Solar Congress is hosted by Solar United Neighbors of D.C., in collaboration with our partners at the University of the District of Columbia’s David A. Clarke School of Law, Solar Solution DC LLC, Green Brilliance, and the Energy Democracy Book Tour. Solar United Neighbors of D.C. Program Director Yesenia Rivera delivers opening remarks at the 2018 D.C. Solar Congress. The first panel of the day discussed the diverse community benefits of distributed solar. Solar United Neighbors co-op coordinators stand ready to answer questions about all things solar! 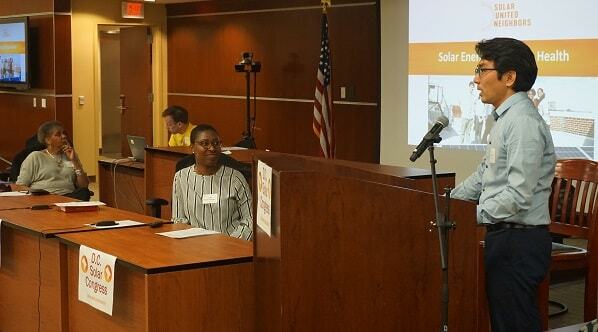 51st State Solar Co-op participant Jacqueline Brown discusses her experience with the co-op. 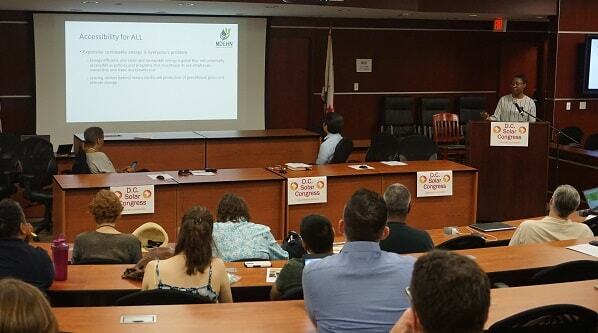 D.C. DOEE Energy Policy Advisor Edward Yim presents on the benefits of solar energy. Maryland Environmental Health Network Program Manager Yinka N. Bode-George discusses the public health benefits of distributed solar. 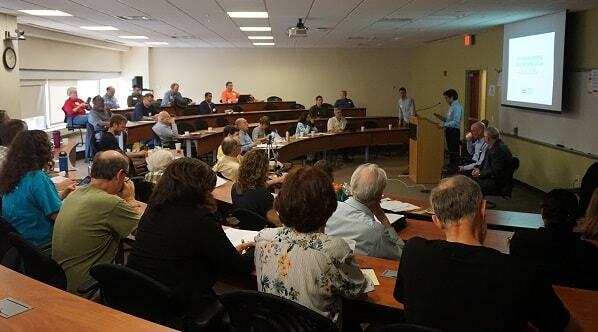 A packed lecture hall listens to a presentation on the benefits of adding backup storage to your solar system. The D.C. 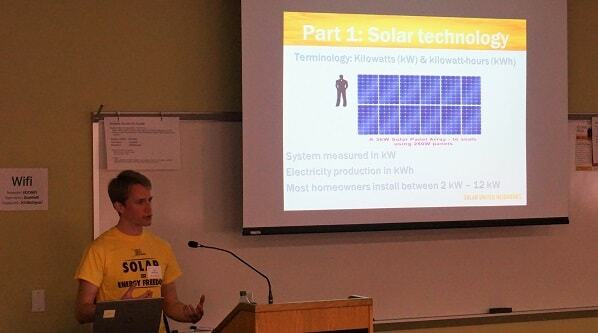 Solar Congress includes a presentation on the basics of solar power for those unfamiliar with the technology. At the end of the day, the program closes with an open audience discussion. 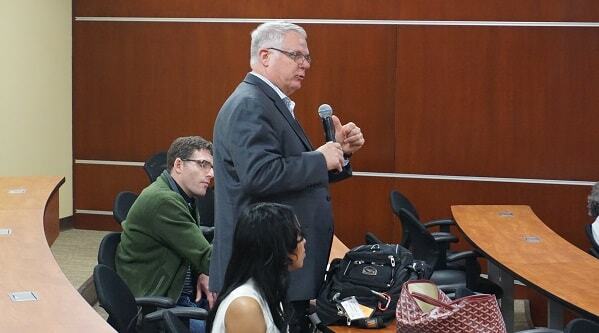 Here, Rob Stewart of Pepco Holdings answers a question from the crowd. Grid modernization was a hot topic of the day for solar policy wonks. Below, please find an agenda from the day. Click on any of the hyper-linked presenters to download a copy of their presentation. 10:00 a.m. – 10:30 a.m. 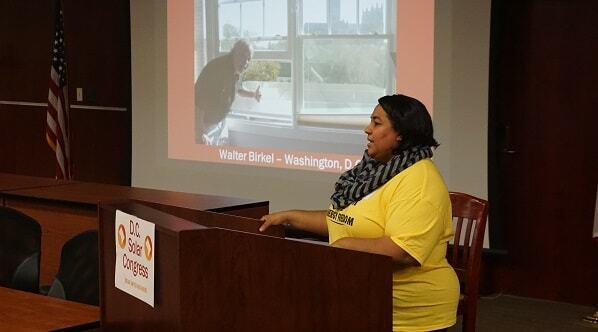 Opening Remarks – Overview of the state of solar in D.C.
– Yesenia Rivera, Solar United Neighbors of D.C. Learn how solar works for a residential home from the equipment, how it connects to your roof, warranties, incentives, and financing options. Solar power brings economic benefits to those who can participate but it does so much more. Find out why solar equity is important and how communities broadly benefit from its expansion. – Moderated by: Yesenia Rivera, Solar United Neighbors of D.C. The District has an ambitious plan to reduce low-to-moderate income residents’ cost of energy across the city and make solar accessible to everyone. Find out what’s happening and what’s on the horizon. Heard all the hype about battery storage? Come learn about the equipment, economics of it, and how it really works for a residential home. Lunchtime brownbag session on Electric Vehicles at 1:00 p.m. 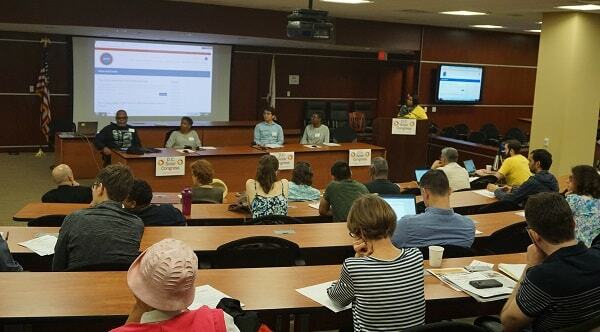 The District has an ambitious plan to reduce low-to-moderate income residents’ cost of energy across the city and make solar accessible to everyone. Hear from organizations on the frontlines, making it happen. – Genevieve Fugere Hulick, New Partners Community Solar Corp. The city’s grid is undergoing a transformation before our eyes with expanding solar generation, increased energy efficiency, electric vehicle infrastructure, and more. Where’s all this headed? 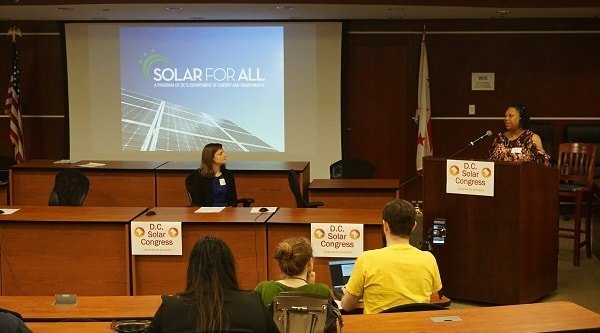 Open discussion on the future of solar in D.C., including opportunities to get involved with helping to grow the solar movement across the District.